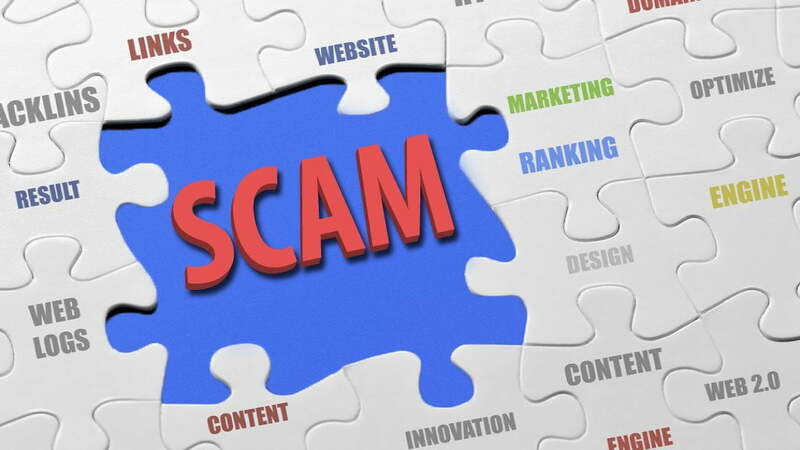 Are you being scammed by a Search Engine Optimisation (SEO) service? Most people who operate a website will receive regular email marketing from Search Engine Optimisation (SEO) consultants promising to put them at the top of Google’s page rankings. This may seem like an attractive proposition for small business owners who’d like their website to come up first when potential customers type in “plumber camberwell”, or whatever their business type may be. Those who have been down this road will know it can be a very expensive exercise, and in most cases, does not achieve the result that was promised – to such an extent that business owners are left feeling scammed. Search Engine Optimisation, as a concept, has been around for a long time. In the earlier years, it was promoted by search engines as a strategy to help their algorithms find and accurately index your website. These early algorithms were not very sophisticated, and relied on the honesty of the website owner to accurately represent the content of their websites in coded metadata that was easy for algorithms to find and understand. As the internet grew, site visitor statistics became increasingly important. Advertisers looking to insert advertisements into websites were focusing on page impressions to decide which websites would provide them with the greatest exposure. During the dotcom era, whole businesses were valued based in part on these statistics. Page impressions, or how many visitors landed on a page, became a commodity with a monetary value, and website authors started to insert all sorts of unrelated keywords and metadata into their pages to drive traffic to their websites from unrelated searches. A common strategy by authors was to stack pages containing ads with unrelated keywords, often at the bottom of each page and in a font colour the same as the page background. These keywords were invisible to visitors, but not to the search engines, which would routinely crawl them and index them accordingly. You may remember how frustrating and time wasting this was, having to click through many search results just to find a page that was relevant. Over time this became a liability to search engines, and they started to make their algorithms much smarter to win back the confidence of users. To combat this trend and regain the confidence of users, search engine algorithms became more sophisticated. Instead of just indexing keywords based on frequency, they started to look at context as well. In the beginning, search engines simply ignored what they deemed were irrelevant keywords. However, as the sophistication grew, these algorithms started penalising websites that were deliberately “keyword stacking” their content. Many previously popular websites would discover their traffic had evaporated because their pages had been blacklisted. One big reason why Google is so dominant today is because their indexing algorithms are so accurate. As we all became increasingly frustrated by time-wasting irrelevant web pages, we all happily (but perhaps unknowingly) embraced the uncanny accuracy of Google’s crawling engine. Google does not reveal the method behind their algorithms, and for good reason. If they did, website owners would attempt to exploit any vulnerabilities to increase page impressions at the expense of the search engine customer experience. This is the exact opposite of what Google wants you to do, and the very thing that most Search Engine Optimisation (SEO) services are offering. Search Engine Optimisation services attempt to “game” Google’s algorithms by exploiting factors that appear to significantly impact page rankings. I say game because Google is not interested in putting a website at the top of a search result for any reason other than because the content most accurately represents what the user is looking for. Returning to my early search example of “plumber camberwell”, ask yourself as a user what business you hoped to find? Is it the one who paid the most money to an SEO service, or the one that best represents the type of plumbing service you are seeking? From Google’s perspective it is the latter, and they are outstandingly good at achieving it. Google employ some of the smartest minds on the planet to create their secret algorithm, and they are constantly changing and improving it. That’s great news for the search engine users, but also the very reason why SEO services that promise to put you at the top of page rankings overnight are a scam. Google themselves caution against the use of SEO services in favour of good web authoring practices, and openly warn that incorrect practices can get you blacklisted. It is not uncommon for website owners who paid for an SEO service to see their pages appear higher in rankings initially, but then plunge for no apparent reason. What they probably don’t realise is that they have either been penalised or blacklisted, and the SEO service they are paying for has done more harm than good. The message from Google is crystal clear. They want you to create quality content, and that will improve your page rankings. Over time, other websites will start to “backlink” to your content, and ultimately improve your page rankings further. If there are 50 plumbers in Camberwell, not all of them can be at the top of page rankings, despite the promises of the SEO services – that’s just common sense. You are better off spending your money creating a quality website. Invest in a website you can easily author yourself. Make sure the content is unique, and don’t copy from other sources. Use unique (not stock) photography. This is important, check out point 5 in this article. Make sure it has a responsive design that will adapt to any screen size, and especially mobile. Make sure it’s served from a quality host, loads quickly, and performs well in recognised speed tests. Invest in an SSL certificate so your website loads over the more secure HTTPS protocol. Publish page content or blog posts on your website that demonstrate your area of expertise. Research the type of language and keywords that people will likely use in searches, and make sure it is prevalent (and relevant) in your content. Add a backlink to your website in free directory listings like yellowpage and truelocal. Research others that are relevant to your type of business. All these recommendations are what you will receive at dygiphy, when we help with your website. We keep improving our web design and management techniques every day to keep up with trends, relevancy and Google recommendations. Contact dygiphy today to see how we can help you achieve improved search rankings the legitimate way.